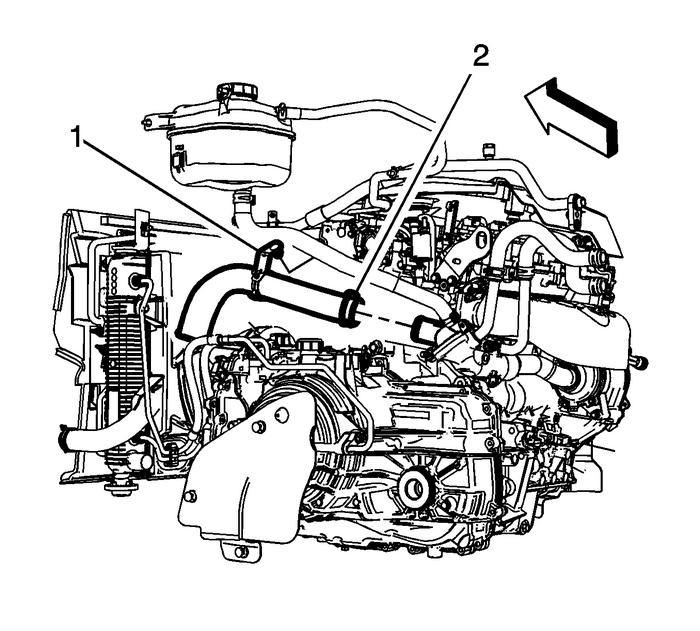 Note:A drain has been provided at the bottom of the water pump for engine block coolantdrainage. 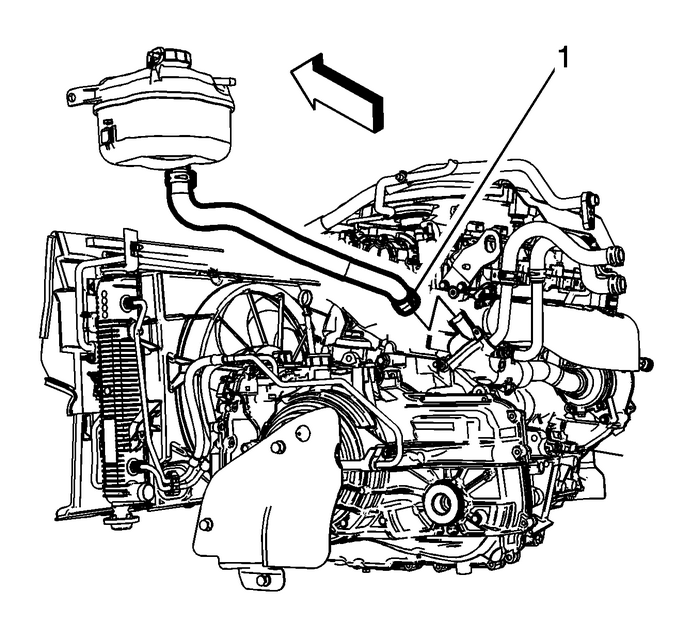 Drain the coolant from the engine block at the water pump drain. 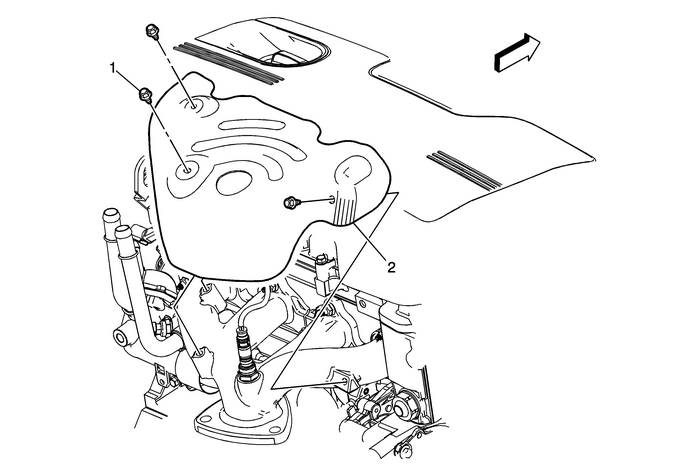 After the coolanthas drained, tighten the drain bolt.Lower the vehicle. Disconnect the engine wiring harness electrical connector (1) from the engine coolanttemperature (ECT) sensor.Remove the heated oxygen sensor (HO2S) electrical connector rosebud clip from thethermostat housing. 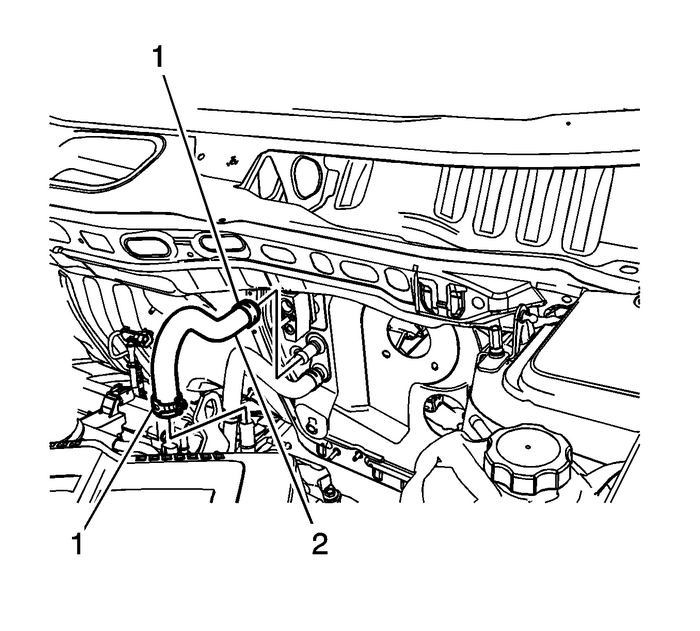 Reposition the radiator outlet hose clamp-(2) at the thermostat housing.Remove the radiator outlet hose retainer-(1) from the fuel pump cover. Remove the surge tank hose-(1) from the thermostat housing. Remove the exhaust heat shield studs (2).Remove the exhaust heat shield. Remove the HVAC heater inlet hose-(2) from the thermostat housing. 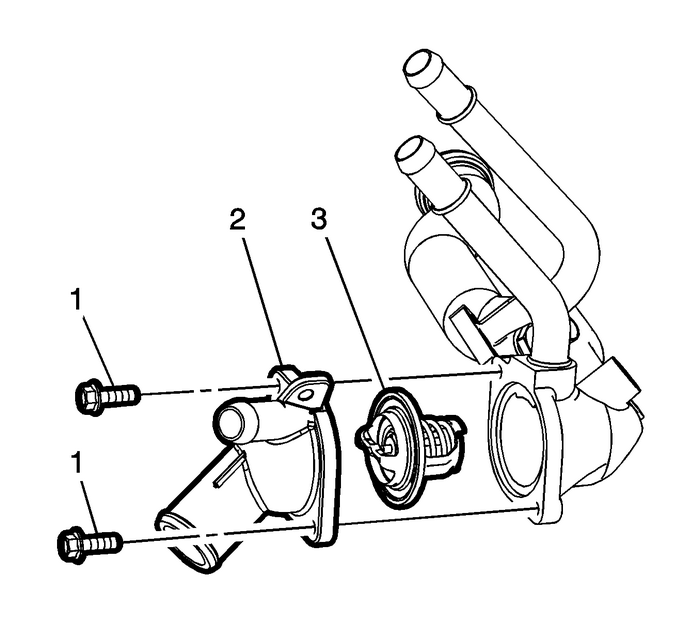 Remove the HVAC heater outlet hose-(2) from the thermostat housing.Raise and support the vehicle. Refer toLifting and Jacking the Vehicle. Remove the ECT sensor, if necessary. Remove the thermostat housing bolts-(1) . Note:Twist the water transfer pipe while pulling in order to remove it from the water pump. 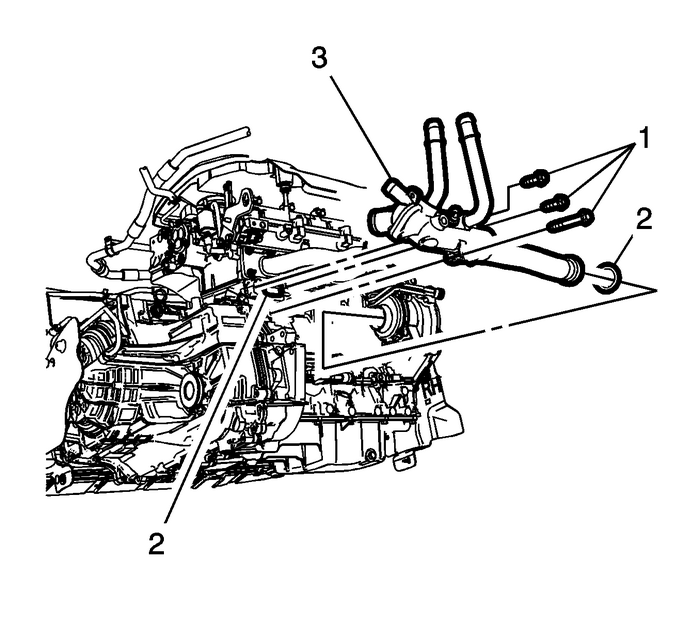 Remove the thermostat housing-(3) from the vehicle.Remove the water transfer pipe from the thermostat housing, if necessary.Remove and discard the water transfer pipe O-ring seals-(2). Install a NEW thermostat cover O-ring seal into the recess groove.Install the thermostat-(3), if necessary. 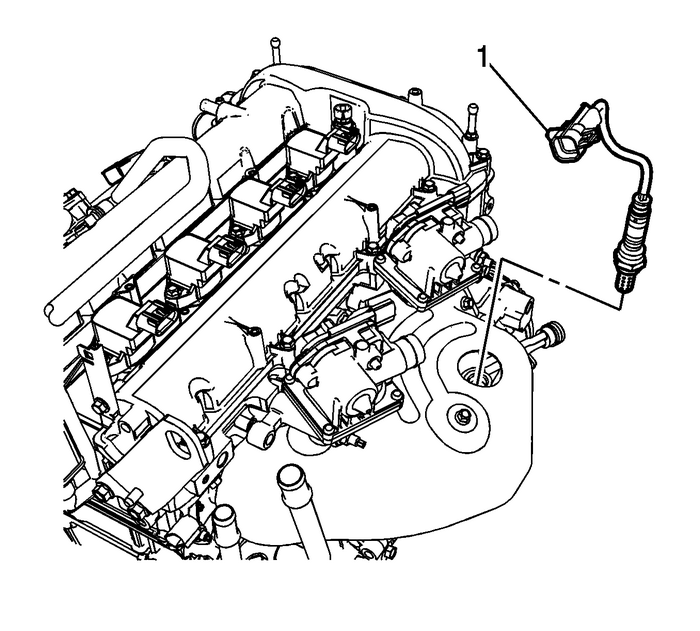 Install the thermostat cover bolts-(1), if necessary and tighten to 10-Y (89-lb-in).Install a NEW thermostat housing to engine gasket onto the thermostat housing.Load the thermostat housing assembly into position. Note:The water feed pipe seals can be lightly lubricated with coolant to aid during installation. Install NEW O-ring seals onto the water feed pipe. Note:Lubricate the O-rings with coolant ONLY. Install the water feed pipe into the thermostat housing aligning locator tab.Align the water pipe to water pump.Seat the water feed O-ring seal by pushing inward toward the water pump. 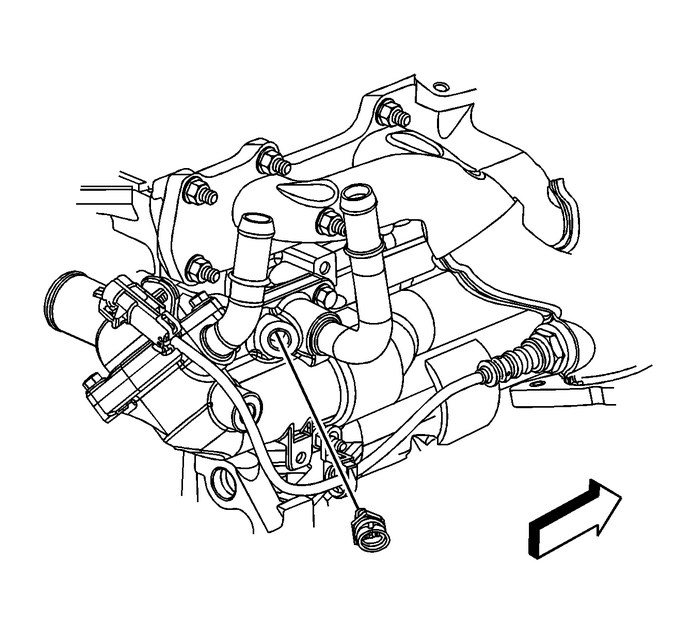 Take carenot to tear or damage the O-ring.Position the thermostat housing-(3) against the engine.Install the thermostat housing bolts-(1) and tighten to 10-Y (89-lb-in). If reinstalling the old sensor, coat the threads with sealant. Refer toAdhesives, Fluids, Lubricants, and Sealers.Install the ECT sensor, if necessary and tighten to 20-Y (15-lb-ft).Lower the vehicle. Install the HVAC heater inlet hose-(2) to the thermostat housing. Install the HVAC heater outlet hose-(2) to the thermostat housing. Install the surge tank hose-(1) onto the thermostat housing.Install the exhaust heat shield. Refer toExhaust Manifold Heat Shield Replacement. 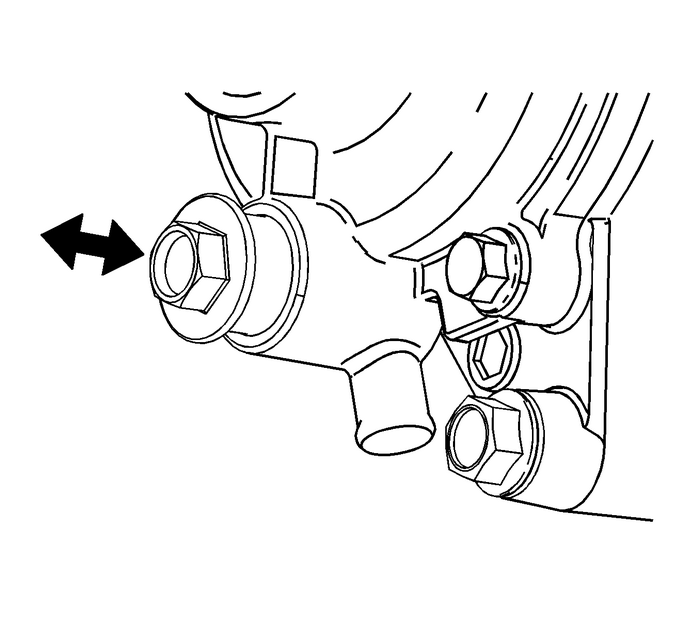 Install the radiator outlet hose-(2) to the thermostat housing.Install the radiator outlet hose retainer bracket-(1) onto the fuel pump cover. Connect the engine wiring harness electrical connector (1) to the ECT sensor-(1).Install the HO2S electrical connector rosebud clip to the thermostat housing. 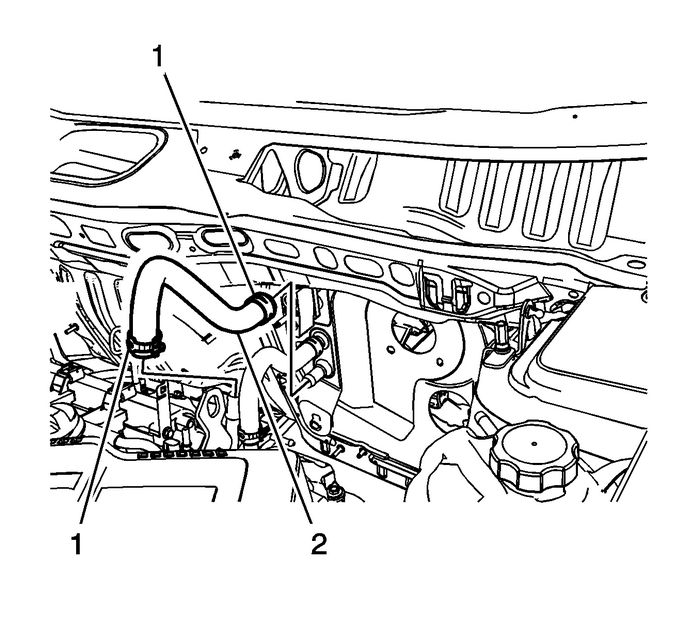 Verify the drain valves at the radiator and water pump are closed.Lower the vehicle.Fill the cooling system. Refer toCooling System Draining and Filling.